Natural & organic for stronger, healthier plants. A rich, concentrated source of organic nutrients, suitable for use all around the garden and allotment. 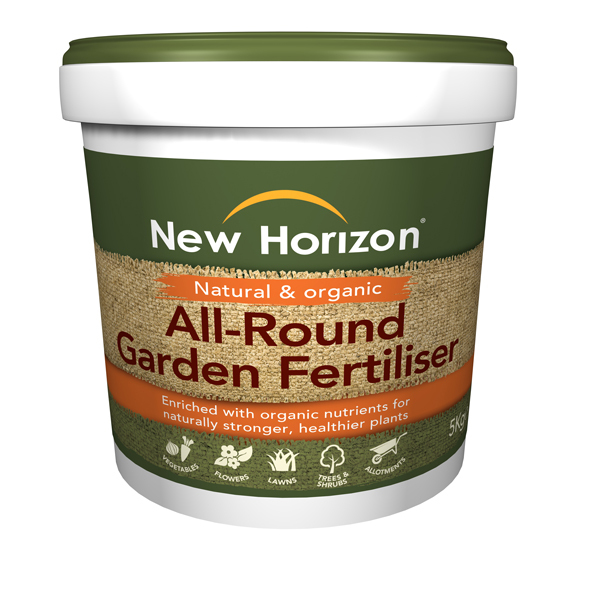 If you would like further information about New Horizon All-Round Fertiliser, please contact our garden centre at Shawbury just outside Shrewsbury in Shropshire, by calling 01939 251315 or emailing.